1.The largest religious monument in the world, the Angkor Wat complex is a sprawling 700-year old city, studded with hundreds of temples including the stunning Angkor Wat temple, shrines, canals and tombs spread over 402 acres, deep in the jungles of northern Cambodia. 2. Built by Suryavarman II who ruled from 1112 to 1152 AD, it was originally constructed as a Hindu temple of god Vishnu for the Khmer Empire. Towards the end of the 12th century, it gradually transformed into a Buddhist temple when King Jayavarman VII brought Buddhism to Angkor. 3. 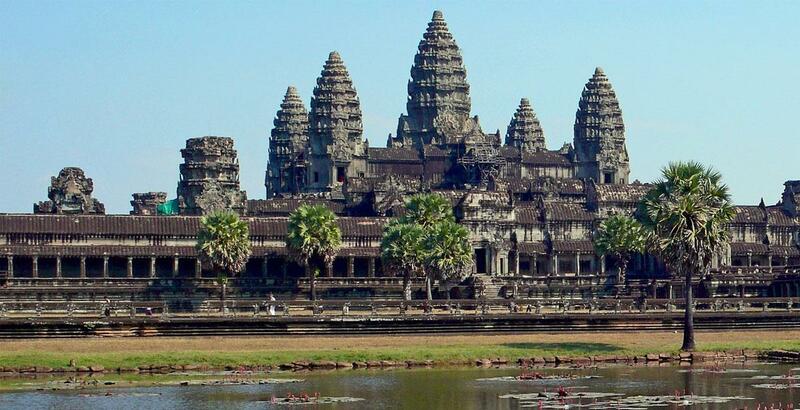 With Kesari Tours discover the most magnificent and largest of all the Angkor temples, the Angkor Wat temple. It is said to be the earthly representation of Mt Meru, the abode of ancient gods. It is believed that the visitor who walks the causeway to the main entrance and through the courtyards to the final main tower, which once contained a statue of Vishnu, is symbolically travelling back to the first age of the creation of the universe. How awesome is that! 4. 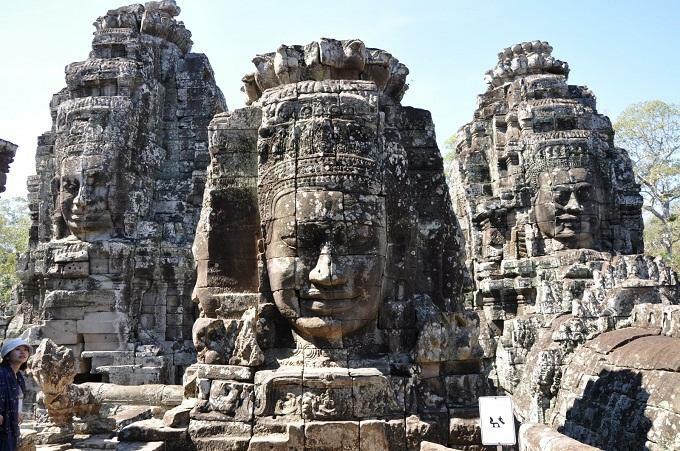 The sea of over 200 huge rocked-carved smiling faces of the Bayon temple, make for a hypnotic sight. 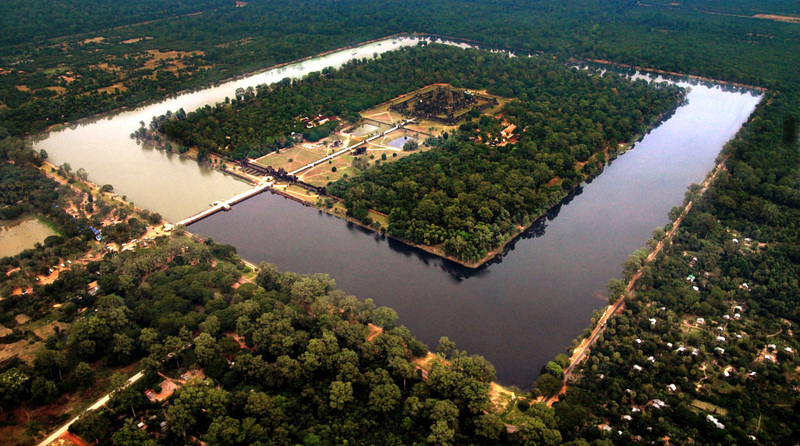 Built by King Jayavarman VII in the 12th century as part of his expansion of his capital, Angkor Thom, it lies in the exact centre of the royal city. 5. 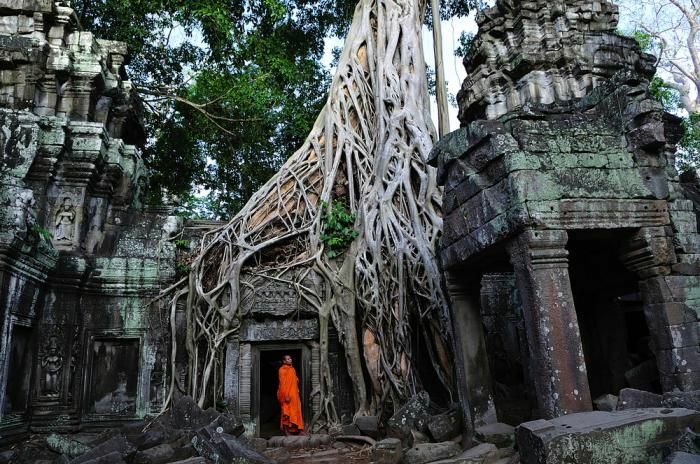 The Ta Prohm temple is a must-see with Kesari Tours for its atmospheric ruins. 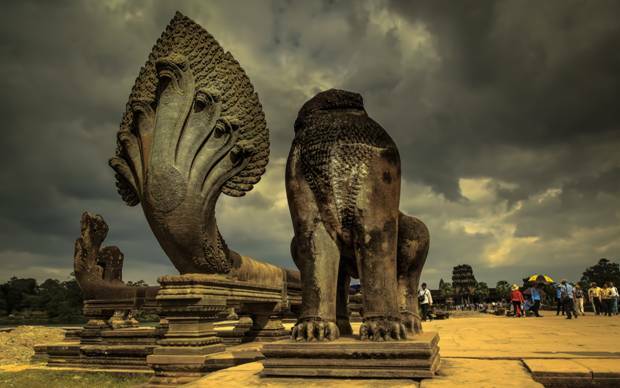 Built from 1186, it was a Buddhist temple dedicated to the mother of Jayavarman VII. The temple was home to more than 12,500 people, including 18 high priests, while an additional 80,000 khmers, living in the surrounding villages, were required to maintain the temple. The temple contained gold, pearls and silks. 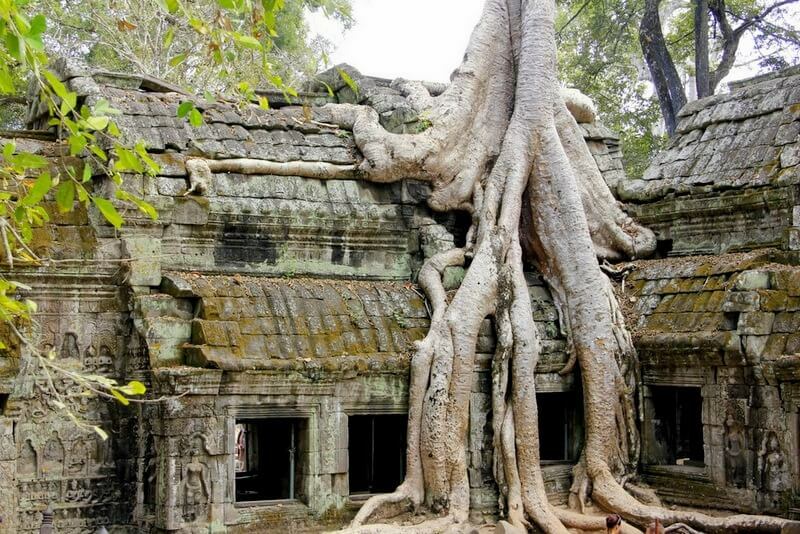 After the fall of the Khmer empire in the 15th century, the temple was abandoned and swallowed up by the jungle. 6. 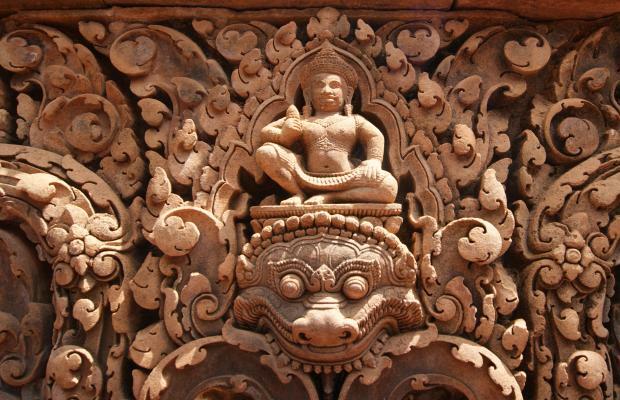 Banteay Srei, one of the smallest sites at Angkor, is highly popular for its beautiful carvings in fine grained rose-pink sandstone. The walls of the Shiva temple are elaborately decorated with floral motifs and epic Ramayana scenes. Constructed in 967 AD, its name translates to “Citadel of the Women” – the elaborate carvings were considered too delicate to have been created by a man! 7. Outside the central temple complex is an 800 metre-long series of intricate and astonishing bas-relief. Besides capturing scenes from the Hindu epics, Ramayana and Mahabharata, and historical events, the carved sandstone walls depict more than 2,000 apsaras or heavenly dancers, each one unique, as you will see on your trip with Kesari Tours.